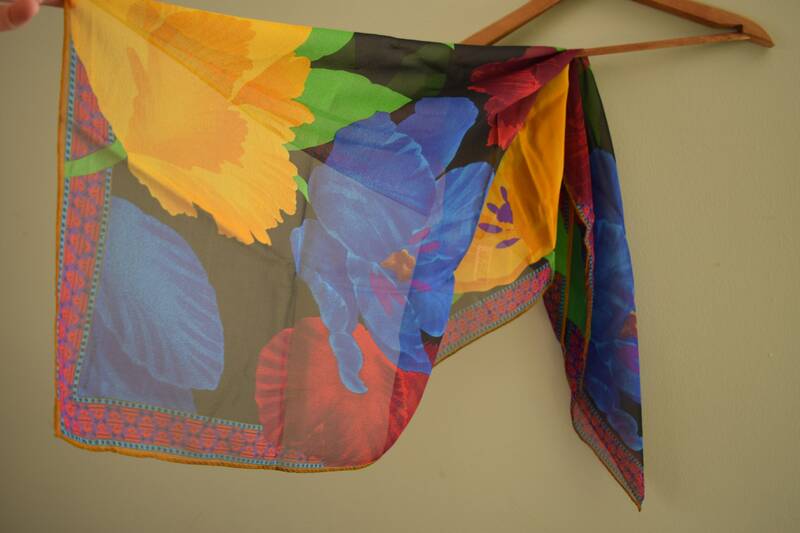 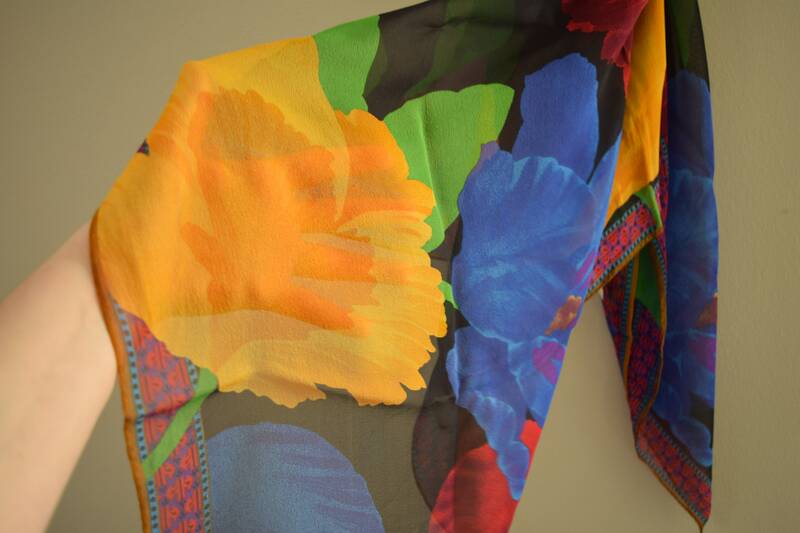 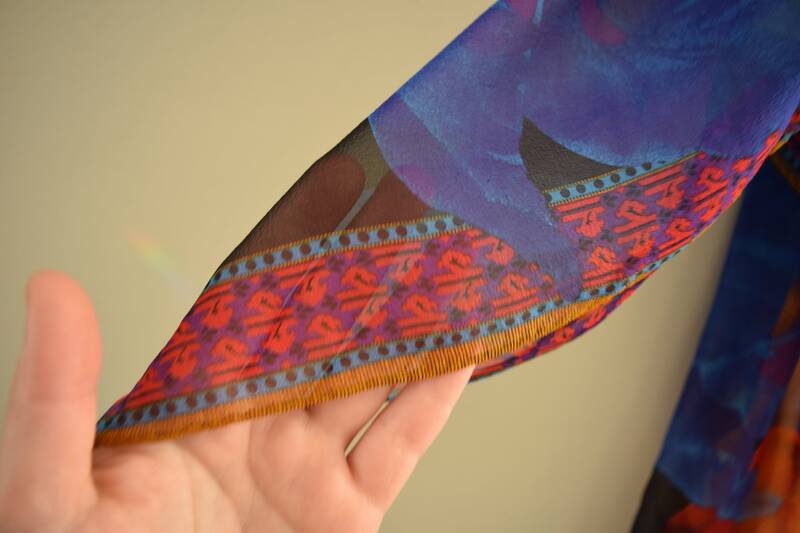 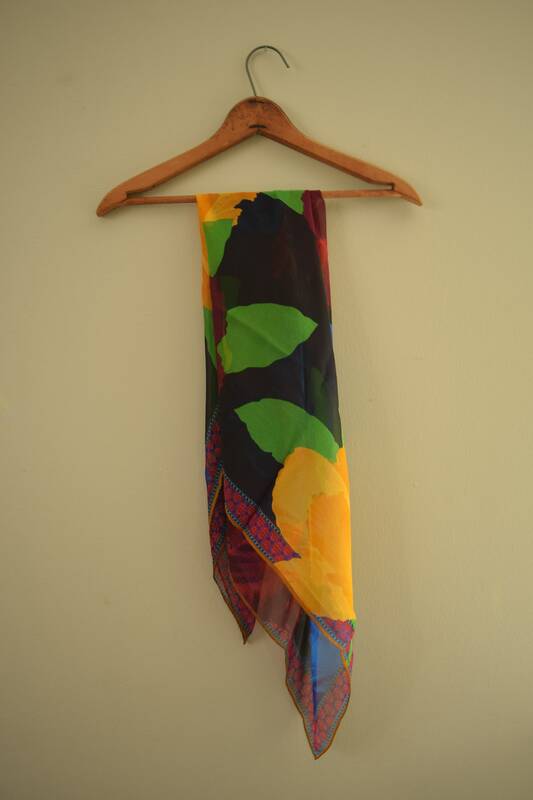 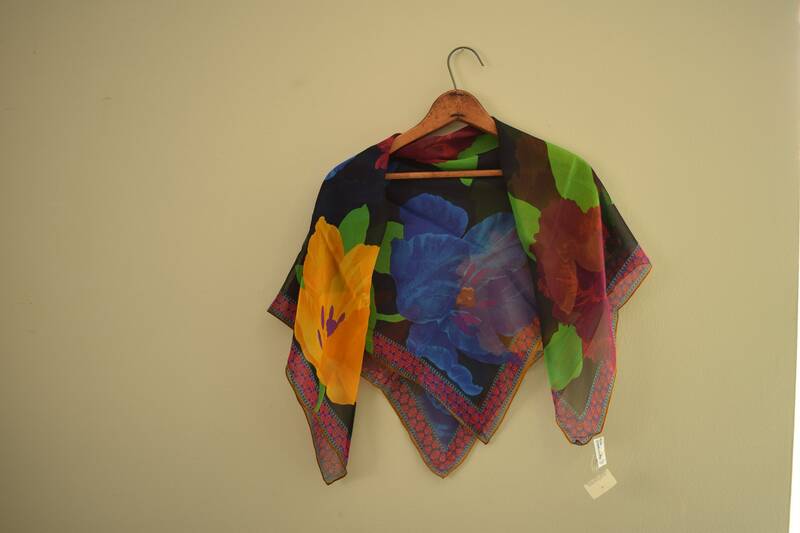 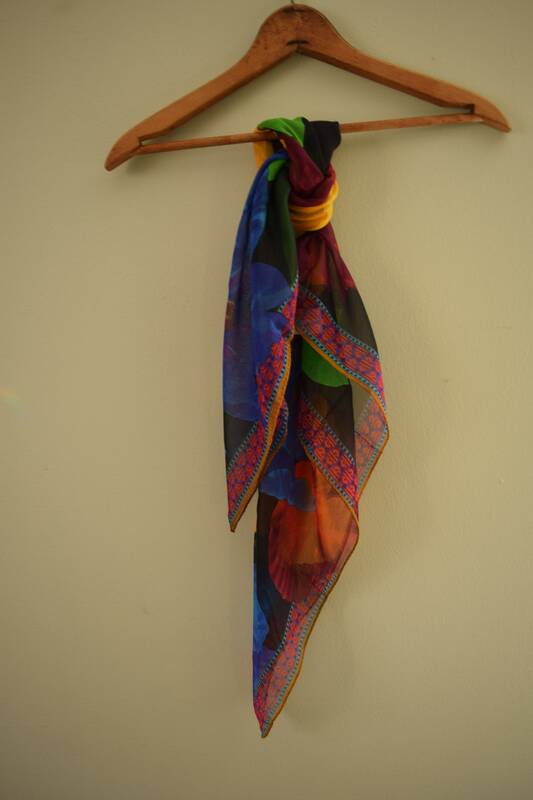 This sheer square scarf showcases beautiful blue, yellow and red flowers. 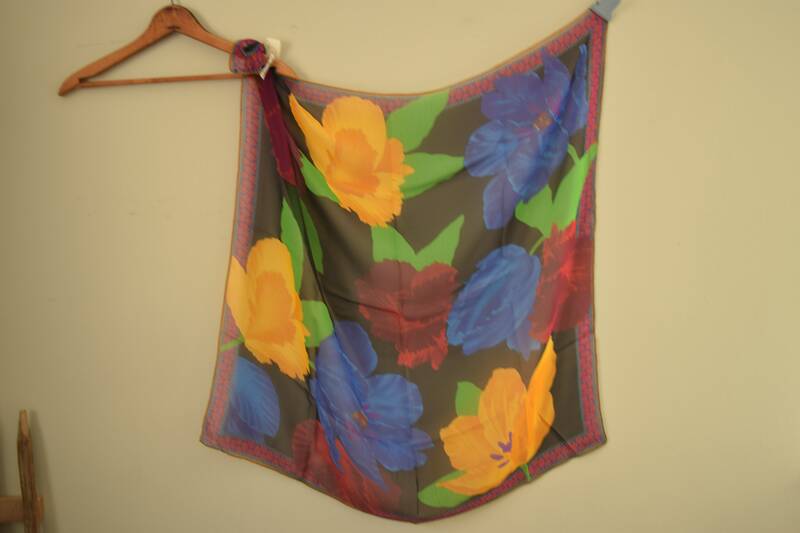 It is 100% silk and crafted in Japan. 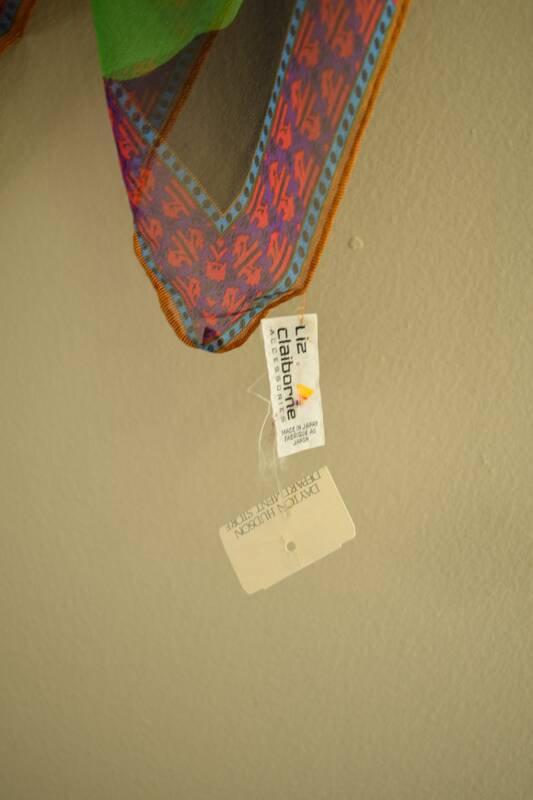 Made by Liz Claiborne, the tag is barely attached, but still features the original department store tag as well. 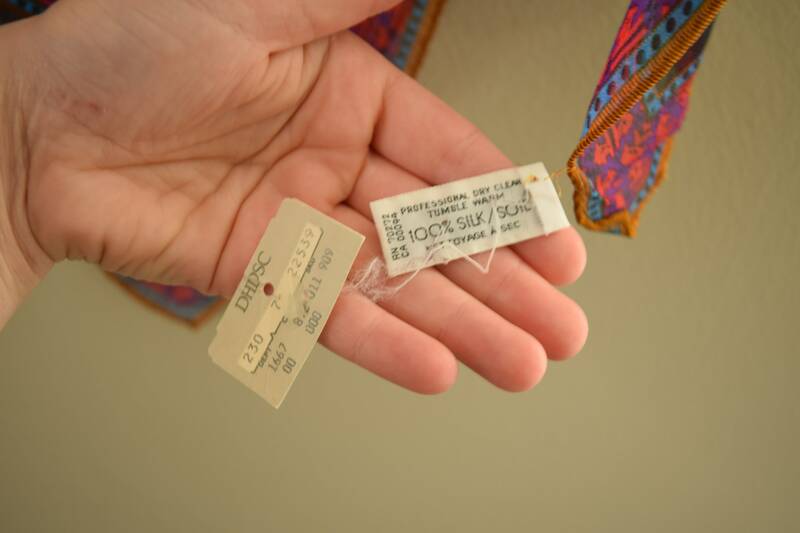 Condition: New Old Stock with minor flaws from storage, including the tag coming loose and some edge issues.